The Belarusian Television and Radio Company and the European Broadcasting Union (EBU) have announced that Belarusian schoolchildren will be the ones to announce voting results of several national juries. The winner of the Junior Eurovision 2018 will be determined on 25 November in Minsk. This is widely seen as a great showcase for the many talented young Belarusians, who at a very young age have gained much experience through the Junior Eurovision Song Contest. In order to prepare for the broadcast, the children will be studying the language of the country whose results they are given to announce. Points from Belarus will be delivered by Arina Rovba. 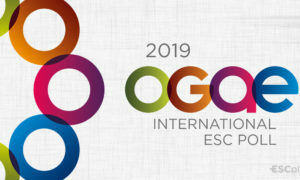 Votes of other national juries will be announced by Daniil Lazuko (Albania), Nadezhda Sidorova (Portugal), Vincent Miranovich (The Netherlands), Milana Borodko (Malta), Yan Musvidas (Italy), Ksenia Galetskaya (Australia), Arina Pekhtereva (Macedonia), Lubava Marchuk and Daniil Rotenko (France). The voting sequence from last years competition will be repeated. This consists of an online audience vote in which the first phase, which begins on 23 of November fans may select between 3 and 5 songs to vote for. An important distinction in this voting pattern compared to the Eurovision Song Contest is that viewers may vote for their own country’s song. Will you be watching the voting sequence live? Are you excited to be days away from the final? Let us know and stay tuned for more info!